FONTANA, Calif. – While younger brother Kyle ruled the headlines with his 200th NASCAR national series victory on Sunday, Kurt Busch had a solid outing of his own at Auto Club Speedway. In fact, the 2004 Monster Energy NASCAR Cup Series champion has largely established himself as the leading Chevrolet driver through the first five races of the season. Busch picked up his second top-five and fourth top-10 finish in five races during Sunday’s Auto Club 400, He averaged a top-10 running position and was sixth at the checkered flag, highest of all the Chevrolets for the third time in the last four weeks. It’s a hot start to the year for the 40-year-old Las Vegas native, who moved over to Chip Ganassi Racing’s No. 1 Chevrolet from Stewart-Haas Racing in the offseason and has quickly found his place within the organization. “We had a good day. I was just hoping to get a top five and came home just a bit short, but when you look at the growth rate of us at Ganassi and the adjustments we’re making, I couldn’t be happier,” said Busch. “I’m smiling as I’m driving the car. It’s so much fun to toss it down in there with all this downforce and the horsepower; you just pitch it sideways and see if it’s going to stick. We know we’ve got our work cut out for us, though. Busch’s Ganassi teammate Kyle Larson sits eighth in points through the first five races, with Busch close behind at ninth in the early standings. The duo leads all Chevrolet drivers and teams in points scored. 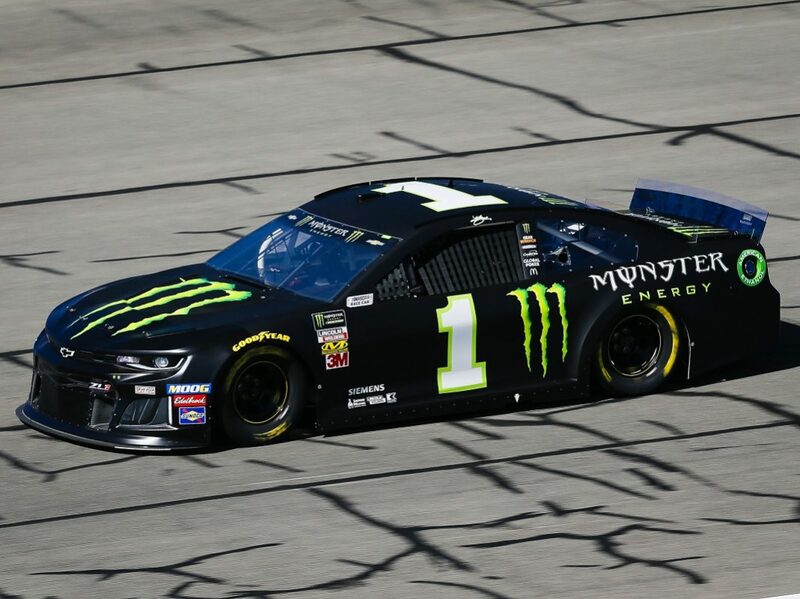 However, that doesn’t mean Busch is completely happy with his performance so far, especially since he lacks significantly compared to the drivers ahead of him in the standings in the category of stage points. Busch only has 15 stage points so far in 2019 – worst among those inside the top 10 in Cup Series points. “The biggest thing is we’re not getting stage points,” noted Busch. “It’s fun to finish well and to have that accolade, but the way you run this series is (that) you’ve got to have stage points. So, we’ve got to qualify better. Right now the RCR guys are doing that. As a Chevy group, Hendrick was good at Phoenix last week. We’ve just got to cover more bases quicker. While he agrees that leading the Chevrolet contingent right now is a positive thing, Busch admitted he does want to see more representation from the Bowtie Brigade at the front of the field. “I want to see more Bowties up there all around me, and not just me,” said Busch. “It’s those teams that are there right now with Penske, SHR and Gibbs … that’s what’s towing the boat and towing the whole sequence. For us at Ganassi, we’ve got to cross over that threshold and get to that next level. After signing a one-year deal with Chip Ganassi Racing for this season, Busch noted he wanted to get back to enjoying himself behind the wheel, and he was doing that even as his brother was tying seven-time Monster Energy NASCAR Cup Series champion Richard Petty with 200 NASCAR national series wins. 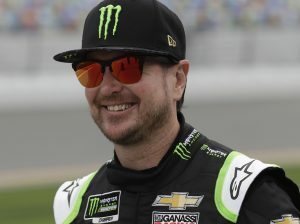 Now, Kurt Busch wants it to be his time in the headlines again, as he moves forward seeking his first victory since the Bristol (Tenn.) Motor Speedway night race last August. “When it comes to attitudes and winning, I’ve got to hold up my end of the bargain,” noted the elder Busch brother. “I’ve gotten too nice and I’m not winning enough, but I’m having fun. I love the Ganassi guys. Matt McCall (crew chief) wants more; I know he does, and I certainly want more as well. I was hoping for a top five today, but we’ll take sixth.